Morella Kayman's was destined to be an opera singer until she developed cancer in her twenties. Her husband was then diagnosed with pre-senile dementia and as so little was known about the condition Morella contacted the press. Her story was picked up in a national newspaper and within a week Morella had been flooded with mail. One letter was from a fellow carer and after meeting up, the two decided to form The Alzheimer's Society. From very humble beginnings in 1979, the Society now has over 20,000 members and Morella has raised millions for the charity. 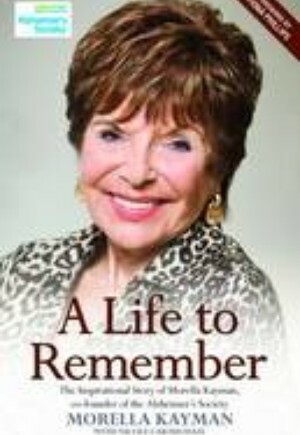 With a foreword by Fiona Phillips, Morella's rich and colourful life story will be a support to anyone who has lived through the challenges of Alzheimer's disease and cancer. Her incredible determination and chutzpah continues to inspire and in 2012 she was awarded the MBE for her work with Alzheimer's.